Bulfinch returned; now he was wearing medieval jousting armor instead of his banker’s wools. 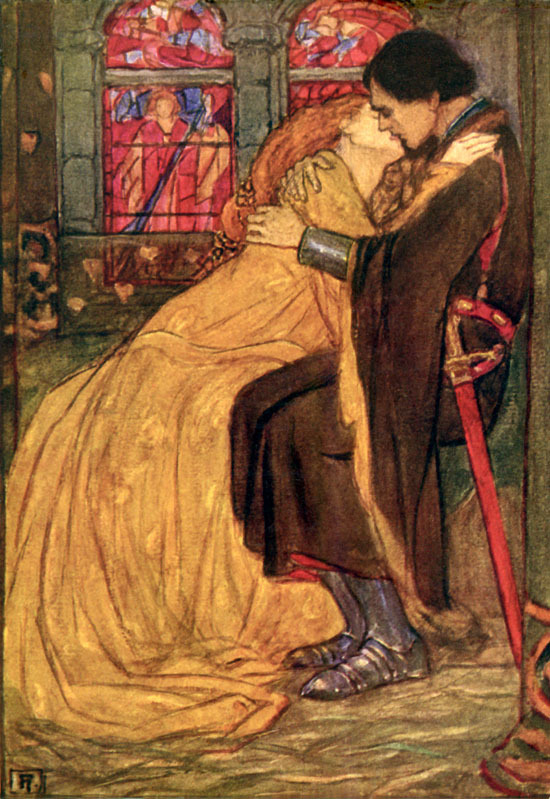 He explained to me the story of how Sir Launcelot remained the queen’s lover, his forswearing after his failed quest for the Sangreal notwithstanding. 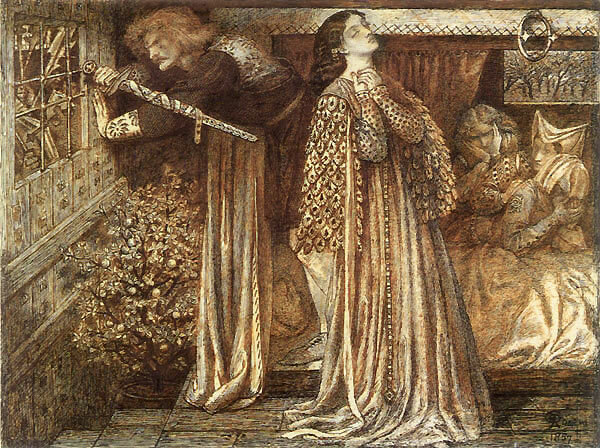 He intimated that there had been a plot instigated against him by the rumors of Mordred and his half-brother Sir Agrivaine, to entrap Launcelot while he was with the queen. 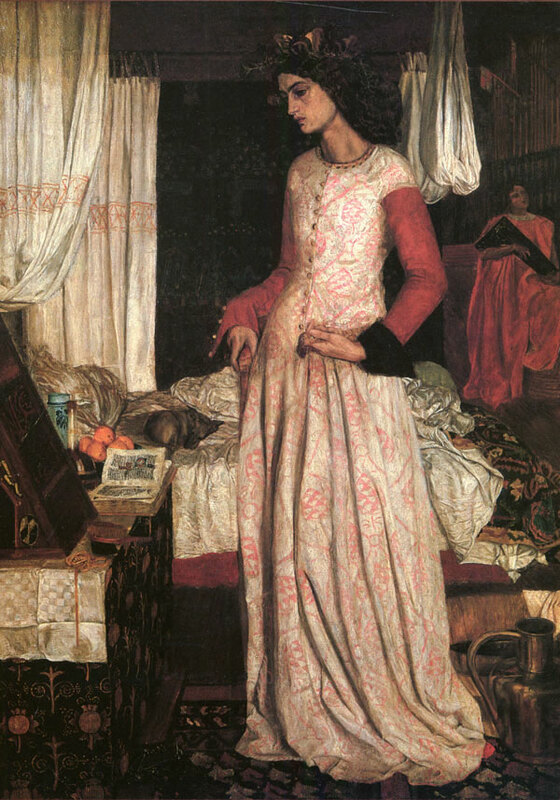 Then when Sir Launcelot had thus done, and slain and put to flight all that would withstand him, then he rode straight unto Dame Guenever, and made a kirtle and a gown to be cast upon her; and then he made her to be set behind him, and prayed her to be of good cheer. Wit you well the queen was glad that she was escaped from the death. 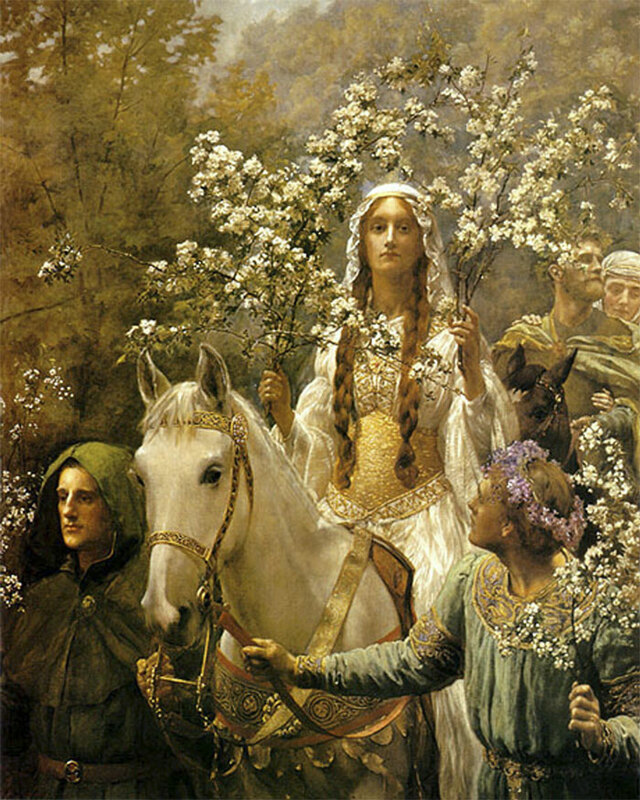 And then she thanked God and Sir Launcelot; and so he rode his way with the queen, as the French book saith, unto Joyous Gard, and there he kept her as a noble knight should do; and many great lords and some kings sent Sir Launcelot many good knights, and many noble knights drew unto Sir Launcelot. This was not, of course, the end of the story. But that was all Bulfinch had for me that day. I spun around three times to find myself back in my own time. So putting on my running shoes with dove wings, I began to write this report. Being part II of our series on…. And by “agreed,” I meant he walked around a tree, returning immediately wearing a pair of steampunk running shoes with pigeon wings glued on them. Staring at me in confused bemusement, he tossed what appeared to be a stone carving of Godzilla, which landed with a “thunk” at my feet. The creature stared at me as if I were Tokyo. “Perseus, continuing his flight, arrived at the country of the Etheopians” Bulfinch began, apparently from the middle of the story. He went on to relate how Perseus, looking down while returning from his battle with the Gorgon Medusa, saw far below the small and frail figure of Andromeda chained to a rock. Flying down, he asked her why she had been chained there. Out of modesty, she said nothing to the hero at first, but for fear that he would judge her wrongly, she related the tale of how her mother Queen Cassiopeia had, in her pride, boastfully compared her beauty to that of the Sea-Nymphs. In their anger, the nymphs sent a great serpent to ravage the coast of her country. To free themselves from terror, King Cepheus was directed by the Oracle to chain Andromeda, his virgin daughter, to the rock in sacrifice to that monster. Just as she was finishing her story, the serpent raised its head out of the water and with great haste moved near to claim his prize. As luck would have it, Perseus was no stranger to great deeds, having defeated the Gorgon Medusa by beheading her. The hero sprang into the air with Mercury’s winged sandals, and landing on the monster’s back plunged his sword again and again into its neck. The monster retreated into the depths of the sea, then broke through the surface and appeared to soar in the air. 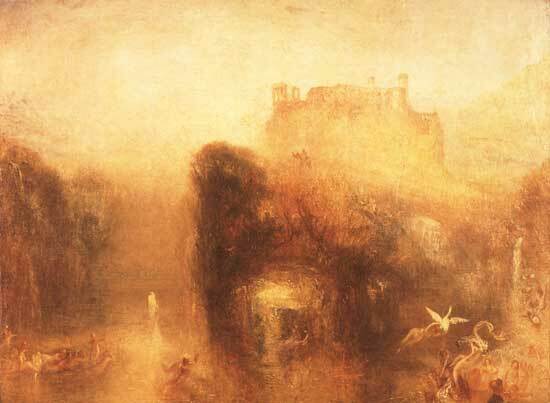 Springing off the monster’s back, but with his wings now wet he had to wait for it upon a rock. Perseus nimbly evaded its attacks. Weakened by the failure of its repeated attacks, the monster lay still, floating on the waves, its breathing labored. As it passed, Perseus delivered a final death stroke, thus liberating the Etheopeans from the menace they had so long endured. Gratefully, the king and queen granted Perseus’ request to marry Andromeda. “Don’t know” he said wandering back into the forest. I suppose I should have left then, as there seemed little point to any of this, but something told me I was dressed in Victorian attire for a reason. I fumbled for my pocket watch just in case this strange place had any appointments to get to–perhaps a tea party–a Jane Austen scenario–even a Gothic novel. As it turned out, it was a medieval one. Having wandered into the forest, I had sufficiently lost sight of my origins to encounter a strange man who did not seem to be of this place or time. After saluting me with one raised hand, he then grabbed me by the lapel of my tweed frock coat and began to recite the tale of Cupid and Psyche from memory: “Psyche teneris et herbosis locis in ipso toro roscidi…” * None of which was of much use to me as my Latin is limited to a few inaccurate aphorisms from Cicero, half-remembered catechisms, and assorted classical history references (veni, vidi, vici, etc). 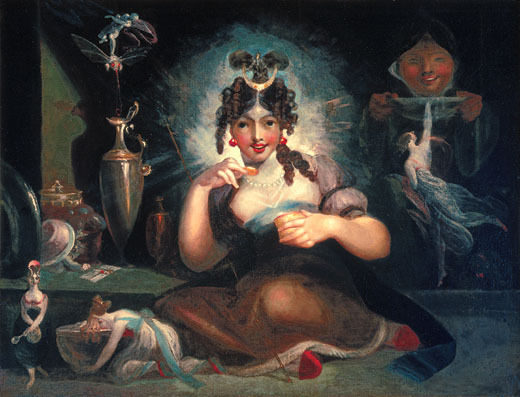 Sensing my difficulty, Bulfinch (for that was the man’s name) then switched to his native New England dialect and began the tale of Psyche, a lady who as we all know, had the misfortune of vexing Venus. The aforementioned Psyche had been gifted with a great misfortune–possessing great beauty, a beauty so great that no poet knew of any language on this world with words to describe it satisfactorily. Psyche became so renowned for her beauty that the temples of the Goddess of Beauty herself were soon neglected; and this evoked the ire of that goddess. So Venus asked her son Cupid to place a curse on Psyche by pouring water from her bitter fountains of Love on her mortal lips. Cupid was, as usual, invisible as he leaned over Psyche in obedience to his mother’s instructions. But as he did so, she suddenly woke and opened her eyes, appearing to look directly into his. This so startled Cupid that he accidentally pricked himself with one of his own arrows; and so it was that the son of the goddess fell in love with the most beautiful of mortal maidens. In his love, he spared her the full bitterness of Venus’ punishment by pouring sweet water from his mother’s other fountain on her golden locks. Alas, the bitter water had had its effect. Despite her beauty, Psyche remained unmarried. No man in the kingdom dared posses this most beautiful of women. At Cupid’s request, Apollo sent an oracle to Psyche’s father, instructing him to prepare his daughter for marriage. Her father, the King, asked the Oracle about the fate of his daughter. The Oracle revealed that their most beautiful daughter was destined to marry a monster. 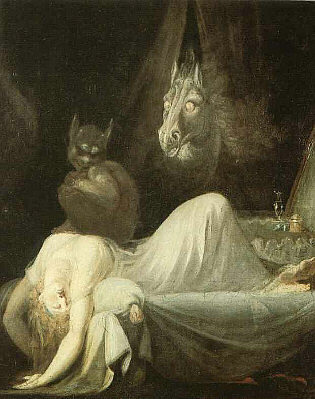 The king was to send Psyche to a desolate mountain, where an ugly monster would meet her and take her for his wife. The king and his queen were distraught and thought to shield their daughter from this fate, but were fearful of angering the gods. Broken-hearted, Psyche’s father obeyed. But Psyche very bravely understood that she had somehow incurred the wrath of the goddess. Standing bravely alone on a rock, she awaited her fate when a warm and gentle wind began to stir. 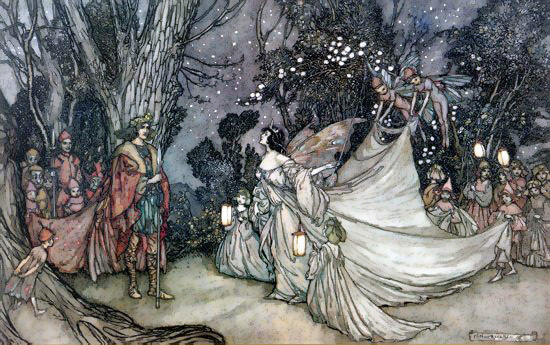 Cupid had sent Zephyr, the West Wind, to bring his beloved out of her country and into his palace. There he bestowed upon her everything a princess could desire, except one thing: She must never look upon him. Each night she slept with her new husband, not knowing who he was or what he looked like. Psyche’s life would get somewhat more complicated after that, including a trip to Hell wherein she places a bit of Proserpine’s beauty into a box. She had opened the box to borrow some of this beauty only to find it empty and fell into a deep sleep, for the only contents of the box were, in fact, Sleep. Indeed, this particular damsel needed some additional saving after her initial one. I said as much to Bulfinch, who agreed. So he made up for this imperfection by telling me another story. This is more than a marital spat, and more than simply a royal argument since these are gods (albeit diminutive.) 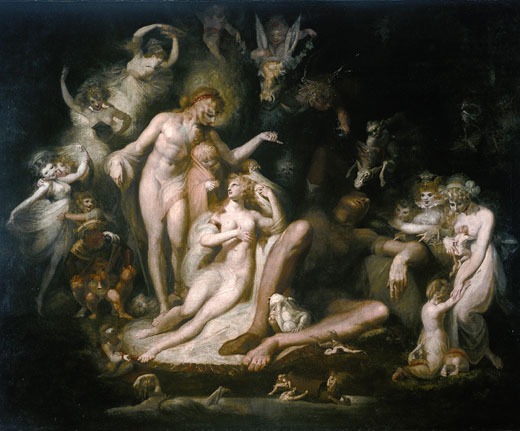 Arguments between gods often have cosmic consequences that affect all mortals (like you and me) so it is important that we analyze Faerie politics in this (moon)light. Ah! So we are really talking about earthly politics as well. The pending marriage between Theseus and Hippolyta, both earthly powers (albeit mythical) has revealed hidden tensions among the immortals. Since this writer has not practiced magic for some years now, he feels it best to avoid further commentary at this point or risk being enmeshed in arguments between unearthly powers.